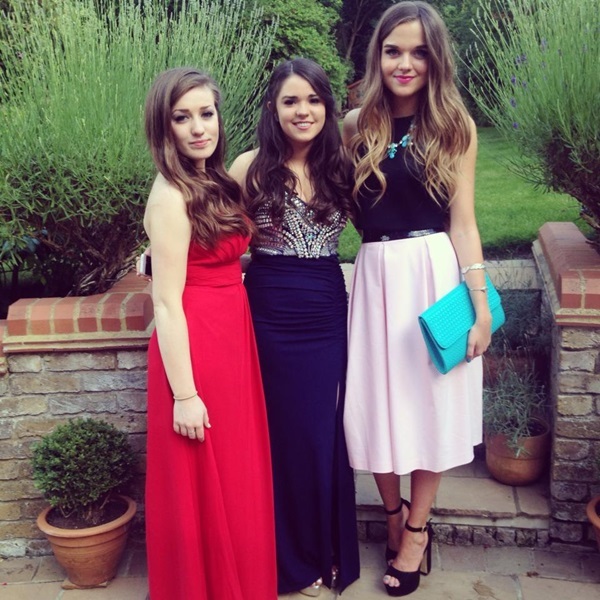 Last night definitely marked the end of an era, as I attended my school's Year 13 leavers' prom. It feels so weird and scary to think that last night was probably the last time that I'll see most of the people from my year! Having said that, I cannot wait for uni in September! School and sixth form were great, but I'm definitely ready for a big change. 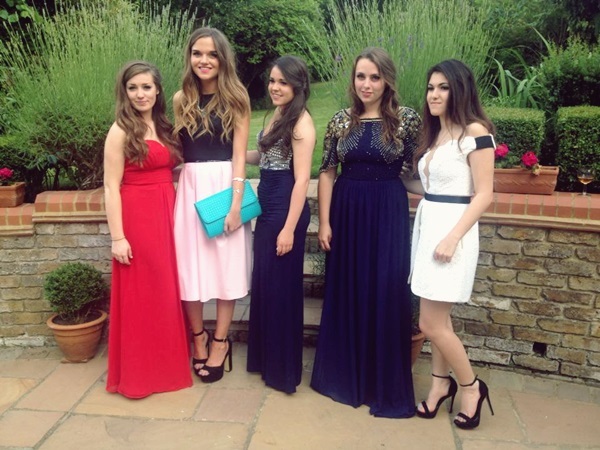 It was a really fun night, and I'm sure you'll agree that the girls looked amazing. After some last minute changes, multiple ASOS orders and the arrival of this beaut Missguided clutch last week I was eventually really happy with the way my outfit turned out. Full length dresses just weren't doing it for me so I opted for this amazing River Island midi instead, and I'm so glad I did! Not only was it perfect for prom, but there's also the added bonus of being able to wear separates again - I'm forever looking to bring down that cost-per-wear haha! Have any of you got proms coming up? What are you planning on wearing? Let me know in the comments! I never thought I'd go for culottes, but I can now confirm that I'm a convert. They're definitely an awkward length, but this only adds to their charm! This Boohoo pair were such a steal at just £20, and go perfectly with my new navy duster. Dusters are definitely a bit of a wardrobe staple, and despite being lightweight enough for S/S wear, I'm hoping that this Front Row Shop number will last me well into winter. I'd definitely recommend a browse of Front Row Shop if you haven't shopped there before - they stock so many stunning staple pieces that are so wearable, yet still a little bit different from your run-of-the-mill basics. I'm loving this kimono and these high-waisted peg trousers at the moment! Evening all! 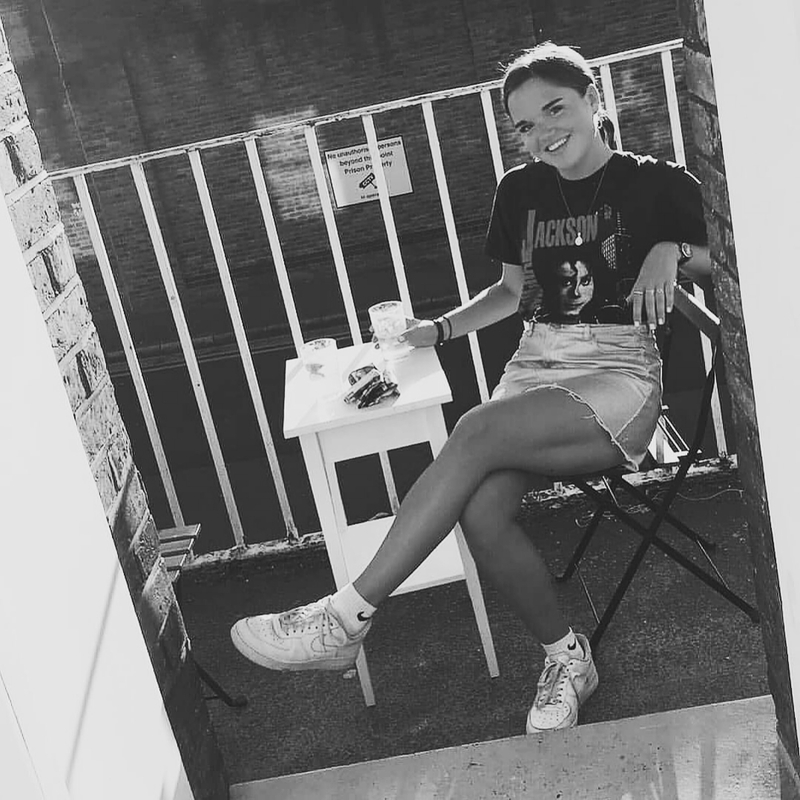 So I'm back on the blogging thing again after a little exam-induced hiatus. But now A Levels are well and truly DONE and I'm a free agent, so blog posts will be flying your way from here on out over the summer! Today was a busy one! I popped into London for the In Love With Fashion DIY Day with Sarah, Gemma and Heidi, which was followed by Dune's AW14 press day and then a little shop and a delicious banoffee cupcake at Lola's in Selfridges. If you haven't tried one yet, then do it asap! The DIY event was such a laugh; we customised a pair of vintage Levi's each (which will be available for you to buy on the site soon! how exciting), and drank plenty of champers (which I managed to spill everywhere in classic Amy style). The Dune press day was also thoroughly enjoyable - the collection is absolutely to die for, with lots of metallics, snakeskin, bright faux fur clutches and of course the minimal, leather classics that Dune do so well. The silver metallic slip-ons shown above were definitely one of my favourite pieces. Check out my Twitter & Instagram (links below) for more photos!